Colin M. Cameron, Esq. P.A. 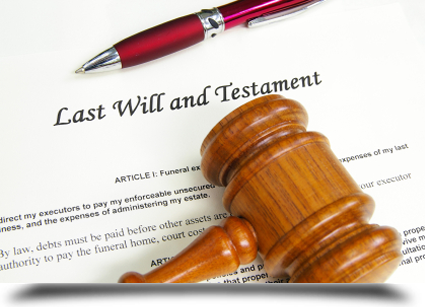 in Okeechobee, FL fights for your right in legal issues involving wills and probate. Colin M. Cameron, Esq. P.A. in Okeechobee, FL is known for carrying out all the legal processes in legal issues involving will and probate. I ensure that the transfer and distribution of the assets are as smooth and hassle free as possible so that the beneficiaries get what they really deserve. Anyone can transfer all or a part of his/her assets to a trust during his/her lifetime. The trust owns the assets and in most cases a more expedient distribution of assets to the ultimate beneficiaries can occur. I’ll ensure that all the legal issues are taken care of properly. No matter how big or small your property is, proper legal documents must be made to avoid any issues later. Call me for more information.